ANNOUNCER: Prime Minister Suhrawardy, "Face the Nation." ANNOUNCER: You're about to see Huseyn Shaheed Suhrawardy, Prime Minister of Pakistan, face the nation and the questions from veteran correspondents representing the nation's press. Chalmers Roberts, diplomatic correspondent for the Washington Post and Times Herald, Bill Downs of CBS News, and John Madigan of the Washington bureau of Newsweek. And now substituting for Stuart Novins from CBS News and Public Affairs, the moderator of "Face the Nation" George Herman. HERMAN: Insofar as Western policy is concerned, one nation forms the land bridge between the troubled Middle East and the potentially troublesome Far East. That nation is Pakistan, a Muslim republic which faces Iran and the Arab world on one frontier, and Burma and the Asian world on the other. At the head of the pro-Western government of Pakistan is Prime Minister Huseyn Shaheed Suhrawardy, a lawyer with a background of working for labor organizations and a foreground of fondness for the broadest possible kind of democracy. He has a reputation for frank and unabashed speech. We'll see about that now as we get our first question from Mr. Madigan. MADIGAN: Mr. Prime Minister, what have you and President Eisenhower accomplished in your conferences that could not have been effected at the ambassadorial level or through meetings of our State Department with your foreign office? SUHRAWARDY: Well I think personal contacts have their value, and we understand something more about American doctrine and American politics by personal contacts, and I think that President Eisenhower and Secretary Dulles also understand more of my mind and what I propose to do. DOWNS: Mr. Suhrawardy, the communiqué makes no specific mention of military aid. Your nation is a bridge between SEATO and the Baghdad Pact. Did you get additional military aid? SUHRAWARDY: Well I don't know, but it is obvious that all the time we are reviewing our military requirements, Mr. Downs. The position really is that we are not seeking military aid in such quantities as it will make it difficult for us to digest all the aid that we get. We want just enough military aid to save us from aggression. ROBERTS: You did ask, sir, while speaking to the President and the Secretary for some additional military equipment. Is that correct? SUHRAWARDY: We have assessed—all that I can say is that we are continuously assessing our requirements. At the present moment, my view is that we have not received sufficient military aid. ROBERTS: The communiqué that you have issued with the president jointly speaks of serious financial pressures on your government due to maintaining your military forces, which are allied of course with American forces in two specific pacts out there in your part of the world. What do you mean by that? What are those financial pressures, and what are you asking us to help you do to relieve them? SUHRAWARDY: Well Mr. Roberts, the position is that our revenue and our income is not sufficient to maintain our military equipment at a proper standard. When I mean a proper standard, it is not sufficient to save us from aggression. And all that we want is that America should come to our assistance to that extent that we shall be able, without fear, of being attacked from any quarter to carry on with our cooperative effort and our constructive efforts. DOWNS: Mr. Prime Minister, speaking of aggression, the Indians say that they fear an attack from Pakistan in the area of Kashmir. Do you intend to use military force to enforce what you consider your rights in that area? SUHRAWARDY: Obviously not. We are not fools. The Indians are tremendously very much stronger than we are. It was the Indians that moved their forces on the borders of Pakistan twice, once in 1950 and another in 1951. We never moved our forces at their borders against them. ROBERTS: Mr. Prime Minister, you've just said in this communiqué with the president that you have pledged to try to solve this Kashmir question with your Indian neighbors peacefully. Yet in a speech which you made in your own parliament not long before you came here you said that you had reached, in your approach to the United Nations, "Our very last throw of the dice. We cannot continue to live under these conditions." You have been unable to solve this directly with the Indians. What do you mean by that? How are you going to solve it? SUHRAWARDY: I am afraid, Mr. Roberts, you misunderstood me. I have said, that so far as our relationship with India is concerned and the Kashmir question, we have tried to resolve the question by mutual conversation and contacts but we have not reached any conclusion. Consequently we have approached the United Nations now, and we expect that the United Nations would do justice. MADIGAN: Do you feel, Mr. Prime Minister, that President Eisenhower is going to give you, through the United States in the United Nations, strong backing to try and get the demands? SUHRAWARDY: Well, I am certain about it. If he doesn't do so I shall be deeply disappointed because I expect from him a sense of justice that he will try and seek that the matters between us are adjusted. MADIGAN: He has so said, and you have in the communiqué, that he hoped it would be solved on a just basis, and under United Nations "principles" I think was the term that you used. MADIGAN: What action expressly will be taken by the United States in the United Nations in relation to the Kashmir issue? SUHRAWARDY: Oh I think Mr. Madigan that the United States ought, in the Security Council, and later on in the General Assembly—which is necessary for us to go to the General Assembly—to use its weight and its influence and its persuasion to see that the other countries of the world also realize the justice of our case. MADIGAN: You say that the United States ought to do that. Has the President said that we will do that? SUHRAWARDY: Well, I expect that he will. MADIGAN: He has said so? SUHRAWARDY: And if he has said so—well, I am sure that he will. DOWNS: Mr. Prime Minister, we in this country are familiar with fights over water. In Kashmir and the Indus Valley which your country comprises, the Indians have been threatening to build dams which would cut off a large part of your irrigation water. Now, we have had range wars over this question in the West in the past, and even in the present I think over California and the rest of it—would you go to war if India did build these dams and cut off your livelihood that way? SUHRAWARDY: Oh let us not talk about these hypothetical matters. I don't—I cannot conceive that India would ever be so—I would like a word—so barbarous to stop the water flowing down our rivers. DOWNS: Well what is the solution to this, then? SUHRAWARDY: This. There are, as you know, six rivers. Most of them rise in Kashmir. One of the reasons why therefore Kashmir is so important for us is this water, these waters which irrigate our lands. They do not irrigate Indian lands. Now, what India has done is not threatening it is actually it is building a dam today, and it is threatening to cut off the waters of the three rivers for the purpose of irrigating some of its lands. Now if it does so without replacement, it is obvious that we shall be starved out and our people will die of thirst. Under those circumstances I hope that contingency will never arise. You can well realize that, rather than dying in that manner, people will die fighting. Because that will be the very worst form of aggression. But I think that before any such situation can arise, those countries of the world that undertake and have undertaken to ensure that peace exists and that matters between countries of our type are adjusted will step in to see that India does not perform any such barbarous actions. ROBERTS: Mr. Prime Minister, that's at least a future contingency you're discussing. I'd like to ask you this about the Kashmir dispute with India. The Indians claim that the United Nations resolution on this question said that first of all, you should pull you troops out of Kashmir, and that all the other steps in the UN resolution were contingent on that, including the idea of plebiscite, and that you have never done that. What is Pakistan's answer to that charge? SUHRAWARDY: Pakistan's answer to that charge is the United Nations resolution, and the reaffirmation of that resolution not so long ago was January the 24th or 23rd, 1957. After all, this matter is raised by India before the Security Council, and this contention has been rejected. That is not the correct reading of the resolutions of the United Nations. These are nothing else but plausible excuses that are put forward by Mr. Nehru for the purpose of giving a semblance of some adequate, specious reason for his intransigence. MADIGAN: On this very show last Sunday, Mr. Prime Minister, Mr. Nehru disagreed with your 100 percent. SUHRAWARDY: Well I disagree with Mr. Nehru more than 100 percent, if that is possible. DOWNS: Mr. Prime Minister, can there be real peace between Pakistan and India until you settle the religious question? When India was partitioned there was probably one of the greatest bloodbaths in civilization's history that took place. Several million people were slaughtered for religious reasons. Is there an answer to the dispute between the Hindu and the Muslim? SUHRAWARDY: That matter is closed. India was partitioned on that ground. There were these tragedies that took place, particularly between the two wings of the Punjab, because passions were high. After that we have settled down to work. There are—one eighth of the population of India is Muslim, one eighth of the population of Pakistan is non-Muslim. We are trying our level best to see that justice is done to the minorities. So far as we are concerned, we haven't had a single riot since 1950 when Nehru and the late Mr. Liaquat Ali Khan came to certain agreements regarding the treatment of the minorities. In India, I believe there have been as many as 402 from that time until now. MADIGAN: Mr. Prime Minister, a few months ago when Mr Nehru was here in the United States, one of our colleagues referred to him as the "mystical man in the middle." He was referring to Mr. Nehru's stand on nonalignment and neutralism. What is your description of Mr. Nehru's position in the Cold War? SUHRAWARDY: Well, I think that Mr. Nehru himself does not understand his position. Mr. Nehru occasionally leans on one side, occasionally on the other. The result is he gets the best of both worlds. That is to his advantage, and I think he continues to pursue that policy because up to now he has not been caught short on it. MADIGAN: But you too, sir, up until a short time ago followed a policy of nonalignment. SUHRAWARDY: No, I don't think so. MADIGAN: You are interpreted as saying until 1953-54, not connecting yourself with either side, and I believe you have said recently that you have learned something since that time which had attached you solidly to the West. Am I correct? SUHRAWARDY: Yes, the position was—if I can cast my mind back—it was some time in 1950, when I [inaudible] the question of these defensive pacts and alliances and so on. It not had been considered until some time in 1950 when I thought it desirable that we should remain aloof from the world conflict. And still I would say this. That the policy which I have laid down to my country is goodwill towards all and malice towards none. There's no reason why we should start in a shining charger and start tilting against windmills. In 1953 or 1954 it was not—I do not think I ever stated that we should not ally ourselves with any countries. SUHRAWARDY: But listen one minute. At that moment I had stated that I had not sufficient knowledge of the political situation and of our state of preparedness and so on, because the government did not take either the country or the opposition into confidence. Therefore, as I said, as I had not sufficient knowledge. I was not prepared to give a dictum as to what should be our policy. As I said that recently I have come to know more about the situation, and I am perfectly satisfied that the only manner in which Pakistan can be safe from aggression—and the security of the Middle East can be assured—is through these defensive pacts into which we have entered. ROBERTS: Mr. Prime Minister, some of the cynics say that the reason Pakistan has joined these pacts with the Western countries, especially the United States, has to do in part at least with reasons other than military ones. That is, they have to do with economic reasons—that in in fact your budget is supported to some 40 percent by the United States. Is that correct? SUHRAWARDY: Well our budget is supported to some extent, but that is not the reason why we have joined the United States. We were in the same boat as you know. We fought in the same manner. On account of the very religious fundamental principles that we profess. Therefore this has nothing whatsoever to do with the economic situation. After all, the United Nations is assisting us as it is assisting forty other countries. That's an entirely different matter. But we are not selling our independence or our independence of thought or really even independence of action except for these economic reasons and political reasons. SUHRAWARDY: But should the United States choose to cut it off, we shall still continue on the path which we have started down. ROBERTS: Is 40 percent a correct figure of the amount of your budget which comes by one means or another in the form of American help? SUHRAWARDY: Well I wouldn't—no, I don't think so. I think the great portion of the foreign exchange which is available to us for our development purposes—that comes from the United States because most of our foreign exchange is committed to meeting our own defense requirements. DOWNS: Mr. Prime Minister, you are our bridge between the Middle East, Southeast Asia, and just north of you there is a big nation called China—Communist China—and you've been there recently I believe. DOWNS: What is Pakistan's relationship and how do you feel about this colossus north of you? SUHRAWARDY: Well I've told you that our policy is not to have malice against anyone, and so long as China does not interfere with us I see no reason why I should interfere with China. But China has got a very important place in world politics and you have to wait—it is trying to reconstruct itself. DOWNS: Do you think that the United States should recognize China? SUHRAWARDY: That is a matter of policy for the Unites States, and I think that only recently your Secretary of State Mr. Dulles has given what he considers to be very adequate reasons why China should not be recognized. DOWNS: Do you agree with it? ROBERTS: Mr. Prime Minister, you have diplomatic relations—does your government have diplomatic relations with Peking or with the Formosa government? SUHRAWARDY: No, our government has diplomatic relations with the Peking government. MADIGAN: Your communiqué—yours and President Eisenhower's—spoke of "exerting influence" in the Middle East to solve the problem there, the Israeli-Arab problem. What do you specifically mean? What type of influence, and how would you exert it? SUHRAWARDY: Well I think that Palestinian question or the Israeli problem has got to be solved if we are ever going to be certain about peace in the Middle East. And I think that it is the duty of all persons of good will to do whatever they can in bringing about this peace. MADIGAN: What specifically can Pakistan or the United States do? MADIGAN: Outside the United Nations? SUHRAWARDY: Yes, outside the United Nations. MADIGAN: In other words you're calling upon the United States to act as an individual mediator in this problem? DOWNS: How about Pakistan? Would you be willing to be a mediator in this problem? SUHRAWARDY: Yes, I think so. DOWNS: There have been some speculations, Mr. Prime Minister, that you have ambitions to lead the Muslim world or at least pull it together. Mr. Nasser also has similar ambitions. Where do you stand on this struggle for the Muslim world, if there is one? SUHRAWARDY: I think there is no struggle. If Mr. Nasser has got ambitions, well, let him pursue his ambitions. I have no such ambitions. All that I have been wanting to do is to bring the Muslim world together so that they can sit down at the same table, discuss matter amongst themselves. All these disputes which exist between the member nations may be resolved. International—with regard to international disputes—we may be able to put forward suggestions which may be able to resolve them. And so far as leadership is concerned, my view definitely is that if any country desires to get the leadership of the Muslim world then that combination, namely the Muslim world coming together, is bound to fail. ROBERTS: Mr. Prime Minister, how is Pakistan in a position to exert any influence in the Middle East conflict between the Arabs and the Israelis when you have recently said of Israel, "We have never recognized it and we shall never recognize it." You are entirely on one side of that controversy are you not? SUHRAWARDY: Well I'm afraid that is the position of Pakistan because I think that the creation of Israel was wrong. But after all there is Israel and everyone realizes that there must be an adjustment and an agreement between the Arab world—between the Arab nations that resent the existence of Israel, and Israel itself. An agreement of this nature connotes that they recognize the existence of Israel. That they recognize that, if there is an agreement between these two parties, then one of the parties is not exterminated. ROBERTS: You would advise all the Muslim nations to accept Israel as a fact of life? SUHRAWARDY: I'm afraid there is no other alternative. But there's no reason why Pakistan should recognize its existence as something that...it's a fact; it's a very unpleasant fact. MADIGAN: Mr. Prime Minister, doesn't your discussion here regarding China, Israel, Egypt, all these countries, the United States, Russia—you say don't tilt at windmills, don't start a war. Does this not place you a little bit in the position of, similar to Nehru's, nonalignment and like everybody? SUHRAWARDY: Oh no. No. On the other hand we say this, that if there is aggression in respect of any of the countries with which we have agreed, it will be the duty of Pakistan to enter into the fray. MADIGAN: Is it your policy? MADIGAN: Is it your policy to bring other pressures to bear on these nations? HERMAN: Mr. Prime Minister—excuse me, Bill—you personally are pushing for wide general elections in your own country, yet one of your neighbors to the South, another distinguished Muslim leader Mr. Sukarno, has said that he thinks that the people of Asia are not yet ready for this broad kind of democracy. What is your answer to that? SUHRAWARDY: Well Mr. Sukarno might speak for his country but not for ours. I think that we are. I think that the British have given us sufficient background to have. They have brought us up in that—within that atmosphere of democracy. HERMAN: If I may follow your line of thought then you do not feel that the Dutch people gave the Indonesians enough of that kind of background? SUHRAWARDY: I wouldn't like to go into the internal history of Indonesia. DOWNS: Well Mr. Prime Minister, do you fear in your own country an ideological invasion from the north? In other words, do you have a political threat of communism in Pakistan? SUHRAWARDY: Well I must say that attempts have been made to infiltrate into our country and there has been a certain amount of spread of communism. And unfortunately communist countries themselves have not to that extent directly interfered with that, or have infiltrated but have utilized neutral countries. ROBERTS: You're saying that, are you saying sir that this communist spread of subversion is coming through the Indian Communist Party rather than centering, say, at the embassies of the Soviet Union and Chinese communists? SUHRAWARDY: Well that's rather an embarrassing question, but there is no question about it that there are Indian agents in our country that are preaching communism amongst our people. DOWNS: Well Prime Minister, recently our ally Britain changed her mind or at least diverted from our policy to liberalize her trade with Red China. Are you also going to liberalize your trade with Red China? SUHRAWARDY: Well we have been trading with Red China to some extent. We have been selling it cotton we have been taking from them coal, which we need. I do not think that our trade can be of such a nature as can be considered to be of strategic value to China. ROBERTS: At the start of the program, Mr. Prime Minister, you spoke of personal contacts with President Eisenhower; said they're good because it dispelled certain doubts. What doubts did you have concerning the United Sates or President Eisenhower? ROBERTS: You didn't use the word "doubt." You said, "not clear in each other's minds what you were thinking or what the United States was thinking." ROBERTS: Did you get everything you wanted while you were in Washington? SUHRAWARDY: No, I didn't come here for a anything—not everything That's something that's gone wrong with you all to think that anybody who comes here, comes here with the idea of wanting something. Surely coming here and talking to your leaders means that I can also contribute something in the matter of thought. ROBERTS: That wasn't said in the term of derogation, Mr. Prime Minister. It meant the legitimate desires that you might have. SUHRAWARDY: Well, we all know the position and the relationship that exists between us, and that's that. Certainly we come here in order to make friends and to know the people more and to have personal contacts [inaudible] about the civilization and culture of your country. ROBERTS: You want a "meeting of minds" is what you're saying, not merely material things. SUHRAWARDY: Well I should put it like that Mr. Roberts. That probably is correct. I mean it's true I don't place myself on the par of the United States by any means. The United States is a very great country, and it has given a certain moral philosophy which did not exist before. Namely the country helping other smaller countries is something which people did not realize could be done. HERMAN: I'm afraid that's all the time we have Mr. Prime Minister. Thank you very much for coming here to face the nation. Our thanks also to our panel of distinguished newsmen, Chalmers Roberts of The Washington Post and Times Herald, Bill Downs of CBS News, and John Madigan of Newsweek. This is George Herman. "If I have offended you by this rather mild account of Buchenwald, I am not in the least sorry." Permit me to tell you what you would have seen and heard had you had been with me on Thursday. It will not be pleasant listening. If you are at lunch, or if you have no appetite to hear what Germans have done, now is a good time to switch off the radio, for I propose to tell you of Buchenwald. It is on a small hill about four miles outside Weimar, and it was one of the largest concentration camps in Germany. And it was built to last. As we approached it, we saw about a hundred men in civilian clothes with rifles advancing in open-order across the field. There were a few shots. We stopped to inquire. We're told that some of the prisoners have a couple of SS men cornered in there. We drove on, reached the main gate. The prisoners crowed up behind the wire. We entered. And now, let me tell this in the first person, for I was the least important person there, as you can hear. There surged around me an evil-smelling horde. Men and boys reached out to touch me. They were in rags and the remnants of uniforms. Death had already had marked many of them, but they were smiling with their eyes. I looked out over that mass of men to the green fields beyond, where well-fed Germans were plowing. 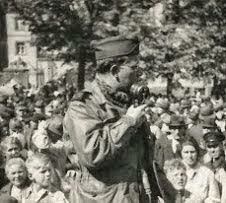 A German, Fritz Kersheimer, came up and said, "May I show you around the camp? I've been here ten years." An Englishman stood to attention saying, "May I introduce myself? Delighted to see you. And can you tell me when some of our blokes will be along?" I told him "Soon," and asked to see one of the barracks. It happened to be occupied by Czechoslovakians. When I entered, men crowded around, tried to lift me to their shoulders. They were too weak. Many of them could not get out of bed. I was told that this building had once stabled eighty horses. There were 1200 men in it, five to a bunk. The stink was beyond all description. When I reached the center of the barracks, a man came up and said, "You remember me, I am Patr Zenkl, onetime mayor of Prague." I remembered him, but did not recognize him. He asked about Beneš and Jan Masaryk. I asked how many men had died in that building during the last month. They called the doctor; we inspected his records. There were only names in the little black book, nothing more—nothing of who had been where, what they had done or hoped. Behind the names of those who had died there was a cross. I counted them. They totaled 242. 242 out of 1200 in one month. As I walked down to the end of the barracks, there was applause from the men too weak to get out of bed. It sounded like the hand-clapping of babies, they were so weak. The doctor's name was Paul Heller. He had been there since '38. As we walked out into the courtyard, a man fell dead. Two others—they must have been over sixty—were crawling toward the latrine. I saw it but will not describe it. In another part of the camp they showed me the children; hundreds of them. Some were only six. One rolled up his sleeve, showed me his number. It was tattooed on his arm. D-6030, it was. The others showed me their numbers. They will carry them till they die. An elderly man standing beside me said, "The children, enemies of the state!" I could see their ribs through their thin shirts. The old man said, "I am Professor Charles Richer of the Sorbonne." The children clung to my hands and stared. We crossed to the courtyard. Men kept coming up to me to speak to me and to touch me, professors from Poland, doctors from Vienna, men from all of Europe. Men from the countries that made America. We went to the hospital; it was full. The doctor told me that two hundred had died the day before. I asked the cause of death. He shrugged and said, "Tuberculosis, starvation, fatigue, and there are many who have no desire to live. It is very difficult." Dr. Heller pulled back the blankets from a man's feet to show me how swollen they were. The man was dead. Most of the patients could not move. As we left the hospital I drew out a leather billfold, hoping that I had some money which would help those who lived to get home. Professor Richer from the Sorbonne said, "I should be careful of my wallet if I were you. You know there are criminals in this camp, too." A small man tottered up, saying, "May I feel the leather, please? You see, I used to make good things of leather in Vienna." Another man said, "My name is Walter Röder. For many years I lived in Joliet. Came back to Germany for a visit and Hitler grabbed me." I asked to see the kitchen; it was clean. The German in charge had been a Communist, had been at Buchenwald for nine years, had a picture of his daughter in Hamburg. Hadn't seen her for almost twelve years, and if I got to Hamburg, would I look her up? He showed me the daily ration: one piece of brown bread about as thick as your thumb, on top of it a piece of margarine as big as three sticks of chewing gum. That, and a little stew, was what they received every twenty-four hours. He had a chart on the wall; very complicated it was. There were little red tabs scattered through it. He said that was to indicate each ten men who've died. He had to account for the rations, and he added, "We're very efficient here." We went again into the courtyard, and as we walked, we talked. The two doctors, the Frenchman and the Czech, agreed that about six thousand had died during March. Kershenheimer, the German, added that back in the winter of 1939, when the Poles began to arrive without winter clothing, they died at the rate of approximately nine hundred a day. Five different men asserted that Buchenwald was the best concentration camp in Germany. They had had some experience of the others. Dr. Heller, the Czech, asked if I would care to see the crematorium. He said it wouldn't be very interesting because the Germans had run out of coke some days ago, and had taken to dumping the bodies into a great hole nearby. Professor Richer said perhaps I would care to see the small courtyard. I said yes. He turned and told the children to stay behind. As we walked across the square, I noticed that the professor had a hole in his left shoe and a toe sticking out of the right one. He followed my eyes and said, "I regret that I am so little presentable, but what can one do?" At that point, another Frenchman came up to announce that three of his fellow countrymen outside had killed three SS men and taken one prisoner. We proceeded to the small courtyard. The wall was about eight feet high. It adjoined what had been a stable or garage. We entered. It was floored with concrete. There were two rows of bodies stacked up like cordwood. They were thin and very white. Some of the bodies were terribly bruised, though there seemed to be little flesh to bruise. Some had been shot through the head, but they bled but little. All except two were naked. I tried to count them as best I could, and arrived at the conclusion that all that was mortal of more than five hundred men and boys lay there in two neat piles. There was a German trailer which must have contained another fifty, but it wasn't possible to count them. The clothing was piled in a heap against the wall. It appeared that most of the men and boys had died of starvation; they had not been executed. But the manner of death seemed unimportant. Murder had been done at Buchenwald. God alone knows how many men and boys have died there during the last twelve years. Thursday, I was told that there were more than twenty thousand in the camp. There had been as many as sixty thousand. Where are they now? As I left that camp, a Frenchman who used to work for Havas in Paris came up to me and said, "You will write something about this, perhaps?" And he added, "To write about this, you must have been here at least two years, and after that...you don't want to write any more. I pray you to believe what I have said about Buchenwald. I have reported what I saw and heard, but only part of it. For most of it, I have no words. Dead men are plentiful in war, but the living dead, more than twenty thousand of them in one camp. And the country round about was pleasing to the eye. And the Germans were well-fed and well-dressed. American trucks were rolling towards the rear filled with prisoners. Soon they would be eating American rations, as much for a meal as the men at Buchenwald received in four days. Back in '41, Mr. Churchill said to me with tears in his eyes, "One day the world and history will recognize and acknowledge what it owes to your president." I saw and heard the first of that installment at Buchenwald on Thursday. It came from men from all over Europe. Their faces, with more flesh on them, might have been found anywhere at home. To them, the name Roosevelt was a symbol, a code word for a lot of guys named Joe who are somewhere out in the blue, with the armor, heading east. At Buchenwald, they spoke of the President just before he died. If there be a better epitaph, history does not record it. "The Rise and Fall of the Radio Commentator"
LESS than twenty years have passed since the conjunction of the radio industry and the Second World War brought about the news analyst, or commentator, into sudden being. Now the conjunction of television, peace, and prosperity threatens him with gradual extinction. Some news analysts, it is true, still remain in business at their old stands, but none who has dropped out has been replaced by a postwar product. Television has produced newscasters, interviewers, masters of ceremonies, and assorted experts, but no new name, face, or voice has appeared in the field of network news analysis. What happened? In the 1920s Graham MacNamee and Floyd Gibbons pioneered the field of reporting news events by radio. Lowell Thomas and Boake Carter pioneered the field of newscasting; by the mid-1930s their names had become household words. And then came World War II, offering new challenges to a medium which rose to the occasion with a new kind of expert: the journalist who had learned to talk, the lecturer who had learned to write, the broadcaster who had learned to read—something more, that is, than the script before him. H. V. Kaltenborn, Elmer Davis, and Raymond Swing—the first three radio news analysts to win and hold national reputations—all possessed the rare blend of talent, character, and experience that their new calling demanded. In 1899, before he had entered Harvard or come of age, Kaltenborn was already working for a newspaper. After graduation from Harvard he served as an American exchange professor in Germany and as tutor to young Vincent Astor on a round-the-world tour. Then began a twenty-year stint with the Brooklyn Eagle as a reporter, editorial writer, associate editor, and drama critic. Kaltenborn made frequent trips to Europe, built up a wide following as a lecturer on current events, and in 1922 delivered his first news broadcast. In 1929 the Columbia Broadcasting System set him up as the first news analyst in the business. Nine years later his round-the-clock coverage of the Munich crisis made him a national reputation. Elmer Davis's proficiency in the classics helped him win a Rhodes scholarship at Queens College, Oxford, in 1911. He had already taught school for a year in his native Indiana. After returning to the United States he served as a staff member of The New York Times. But from the mid-1920s until the eve of war in Europe Elmer Davis spent most of his time writing short stories, essays, and humorous novels—"Friends of Mr. Sweeney," "I'll Show You The Town," and "White Pants Willie" among them. At national conventions and at occasional seasons of other years he also assumed, in The New York Times, the character of Geoffrey G. Gloom, the Indiana Democrat. In 1939 he became a full-time news analyst for CBS, where he performed with such distinction that his journalistic colleagues persuaded the Administration to put him in charge, in 1942, of its newly created Office of War Information. Raymond Swing got his first newspaper job in Cleveland in 1906. Seven years later he was Berlin correspondent for the Chicago Daily News, remaining in Germany until 1917 and returning, in 1919, for the New York Herald. During the war he conveyed an important secret message from Lloyd George to the German Government. After the war he made Europe his news beat until 1936, when he returned to New York as correspondent for the London News Chronicle. Swing won fame on the radio reporting on the United States for the British Broadcasting Corporation. In 1935 he wrote "Forerunners of American Fascism." He appeared for a year on the "American School of the Air," over CBS. In 1939 he went over to Mutual. THESE biographical items serve as reminders that three of the first men to establish wide and firm audiences for themselves as wartime American commentators had roots abroad as well as at home, and interests that ranged beyond the news of the day. Swing composed music as well as books. His first wife was a Frenchwoman. Kaltenborn married a German baroness. Elmer Davis was as much a man of letters as a journalist. But all three had come rapidly to the top as newspapermen. All had likewise gone beyond daily journalism to more lasting literary and artistic pursuits. All had savored the taste of Europe, as it used to be before the First World War. And they had seen enough of the twentieth century to be able to view the events of the 1920s and 1930s in perspective. Two other wartime commentators, who made names for themselves shortly after Kaltenborn, Swing, and Davis made theirs, first saw the light of day just after the turn of the century. On graduation from Coe College, Iowa, in 1925 William L. Shirer went to Europe, where he landed a job with the Paris bureau of the Chicago Tribune. And at the same time John W. Vandercook, who had spent a single year at Yale, was turning from newspaper work to exploration and authorship. For the next fifteen years Shirer devoted himself to foreign correspondence, living in France, Germany, and Austria and visiting India, from which he returned deeply impressed, like many others before and since, by Mahatma Gandhi. But Shirer's interests, like Elmer Davis's and Raymond Swing's, always extended beyond the daily journalism at which he made his living. He experimented as a novelist and a playwright. He spent as much time with authors as with politicians. He belonged to the Lost Generation, which had come through the First World War only to find a Second already on its way. But it was not until this war came that Shirer, covering Germany for CBS, and Vandercook, commenting on world news from NBC's New York headquarters, found themselves caught up in the same kind of fame that had already come to Kaltenborn, Davis, and Swing. Indeed, it was not as a radio commentator but as the author of "Berlin Diary" that Shirer first won the popular recognition that his radio broadcasts later enhanced. America's outstanding wartime commentator did not graduate from college until 1930 and had never worked in any medium except radio. In 1932 Edward R. Murrow began visiting Europe, first as president of the National Student Foundation, later as assistant director of the Carnegie Corporation's Institute of International Education. In 1935 he was appointed head of the Columbia Broadcasting System's department of talks and education; in 1938 he again returned to Europe as chief correspondent for CBS. During the 1940 Blitz his London broadcasts seized the interest of American listeners. His coverage of other wartime stories held that interest, and he has proved himself not only a great reporter, but a sensitive interpreter of world news. In 1945 his radio colleagues did him an honor no radio commentator ever won before, when they elected him president of the American Correspondents Association of London. By this time Murrow had gathered, organized, and developed an outstanding team of young war correspondents: Eric Sevareid, Howard K. Smith, Charles Collingwood, Larry LeSueur, Bill Downs, Richard C. Hottelet. These men belonged to a later generation than Shirer and Vandercook. Most of them had done some newspaper work. All of them knew Europe as well as the United States. And all of them who first made names for themselves with Murrow in Europe during the war continued to function in postwar radio and television, at home and abroad. In addition to developing the outstanding wartime radio news staff, CBS also developed the bulk of commentators who, during the war or afterward, transferred their talents to other networks: H. V. Kaltenborn, Elmer Davis, Raymond Swing, John Daly, Chet Huntley, Bill Henry, Cecil Brown, Edward P. Morgan, Joseph C. Harsh. All these men received their basic radio news training at CBS. It is a record no other network can duplicate or even approach. IN ONE respect at least, the radio and television industries have developed along familiar American lines. The same trend toward bigness and concentrated control that has become so marked in the automobile industry operates in radio and television as well. Network broadcasting on both radio and television can absorb certain costs, both of production and transmission, that individual stations cannot bear. These costs are far greater in television than in radio, but even before the postwar, mushroom growth of television, the government had ordered the National Broadcasting Company to divest itself of one of the two radio networks—the Red and the Blue—it then owned. The Blue Network became the American Broadcasting Company, but the radio interests that acquired it could not meet the skyrocketing costs of postwar television, and Paramount Theatres Corporation purchased control. This made the American Broadcasting Company, in effect, a subsidiary of a chain of motion-picture houses, just as the National Broadcasting Company had always been a subsidiary of the Radio Corporation of America. The Columbia Broadcasting System, on the other hand, came into being and continued to exist as an independent corporation which sought to make profits from broadcasting only. William S. Paley, whose well-to-do father set him up in the business, retained control and gradually expanded his operation and his holdings. CBS sold stock to the general public, but the Paley family always held a controlling interest. It likewise so happened that William S. Paley himself possessed a social conscience as well as business ability and a keen interest in news, education, and public affairs as well as in entertainment and the popular arts. He regarded the news department at CBS as something more than a means of fulfilling certain minimum obligations to the FCC. He saw it as a source of pride, prestige, and perhaps eventual profit. Even before the Munich crisis he had hired Edward Klauber, one of the top executives of The New York Times, to set up a comparable news-gathering organization in the radio field. Whatever superiority the CBS news department may still enjoy over the news departments of NBC and ABC goes back to the head-start it gained during those prewar years. Since then the rapid growth of television, some of it at the expense of radio, and changes in public taste, some of them engineered by the industries that cater to that taste, have brought radio and television news commentary to a state of uniform confusion. In the case of television news, production costs far exceed what any sponsor can pay for the audience such programs attract. In the case of commentary, fifteen minutes of a radio news analyst plus a camera add up to something less than television—and it has taken a dozen years for some television news presentations to find a place for even a few minutes of straight commentary. But local radio stations, including those that carry network programs, can still find audiences and sponsors for news, sports, and music all around the clock. There are also many hours of the day when network radio news can still find audiences and sponsors. THE news analyst, however, faces two handicaps. First, if he is worth his salt and goes in for controversy most local sponsors and stations will have none of him. Second, the news analyst who is worth his salt will not voice his own commercial. Few postwar commentators, I must add, have had to grapple with the temptation to read their own commercials, for the simple reason that few sponsors wanted them on any terms. The news itself had lost its wartime urgency and flowed less abundantly. And there was an oversupply of wartime and prewar commentators to cope with it. John Daly, who had begun covering Roosevelt in 1936, came to the 1948 conventions and campaign with a background that no newcomer possessed. Radio's Bob Trout, who has earned for himself the title of "Mr. Convention" over the years, still covers those political rituals in the medium which made him famous, imparting a sense of continuity to the proceedings. And when war suddenly broke out in Korea Edward R. Murrow—who had reported the Battle of Britain from housetops of London and the bombing of Berlin from the belly of an American bomber—reported the Korean War from the cockpits of American jets. 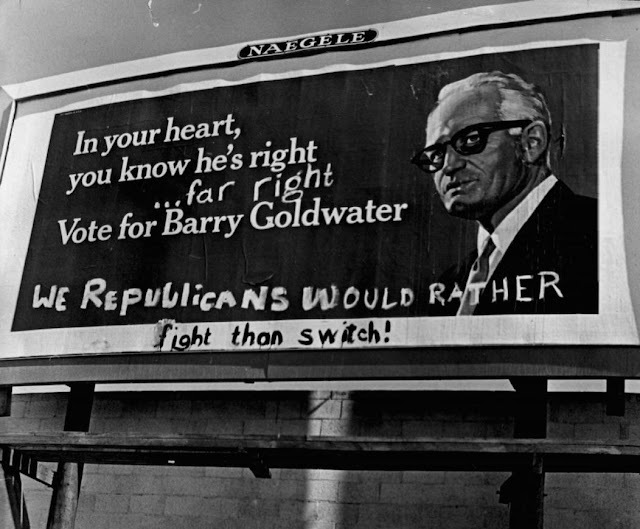 The familiar and trusted figures of Murrow and Davis again exerted powerful influences at the height of the McCarthy madness. Night after night on radio Davis waged a tireless war of words on the Wisconsin Senator. Murrow delivered his most effective attack by way of television. But no new Murrows, Davises, or Dalys have come to the fore during the postwar years, with the single exception of Walter Cronkite, who came to CBS television news with long newspaper experience plus a rare natural talent for the new medium. And though Murrow has kept up his program of radio commentary, he owes much of his present prestige to television. But why no younger men? For one thing, the new shape of the postwar world and the changing shape of the radio and television industries have narrowed the range of news analysis. 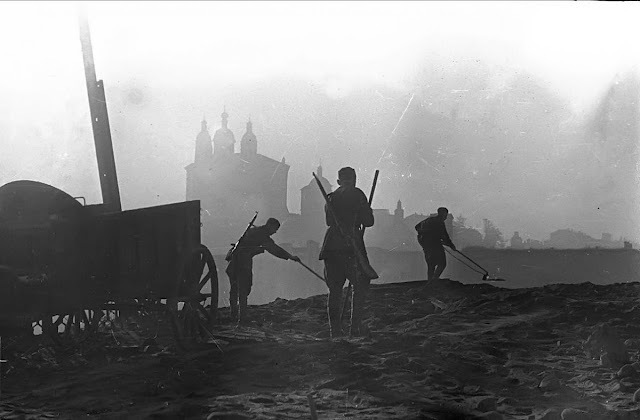 Nor have the postwar years witnessed any such outpouring of intellectual, artistic, and literary creations as occurred during the first dozen years after the First World War. Criticism, scholarship, and the sciences have recently come of age in the United States—and that is much. But the Beat Generation has produced no Hemingways, Fitzgeralds, or Thomas Wolfes; no H. L. Menckens or Walter Lippmanns. The new mass media of motion pictures, radio, and television have reached new heights of technical excellence, but the "seven lively arts," as Gilbert Seldes called them, have produced no such men and women of talent as Seldes admired thirty years ago. Every radio or television news analyst with a national reputation today still draws inspiration from the earlier decades of this century—and it's the same story in other fields of journalistic effort. Whether there is no longer and room at the top, or whether the young men and women of talent prefer more secure or highly paid work, I do not know. Perhaps, in the case of television, so much has to be learned so fast that its greatest opportunities lie in the technical rather than the creative sphere. But a career in radio, with its declining audiences, profits, and influence, has lost much of its former allure. All of which makes the way of the news analyst harder and harder, no matter where he turns. This applies even to the CBS organization. When the war ended and television overtook and overwhelmed radio NBC entered the competition with most of the top-rating shows of radio entertainment under its banner. Whereupon CBS, with smaller financial resources and greater financial daring, borrowed enough money to buy away half a dozen of NBC's top stars and outdistance NBC in entertainment as it had already outdistanced NBC in news. And this impetus carried over into television, where CBS went to the top almost at once. NBC presently hit back by putting Sylvester L. Weaver in effective charge of programming, and within a few years Weaver stood the whole industry, including NBC, on its collective head. For Weaver, single-handed, broke down two taboos that had straitjacketed radio since its inception and that hamstrung television even more severely. The weekend radio program "Monitor" shattered the pattern of programming all radio time in fifteen-minute units. "Monitor" adopted the revolutionary practice of giving each feature as much or as little time as that feature might be worth, without regard to sponsorship and time-breaks. It proved an immediate success—financially and every other way—and nowhere did this innovation make for so many improvements as in the field of news reports and news analysis. In television, Weaver shattered the thirteen-week cycle under which individual programs not only ran to uniform lengths but had to be scheduled and sold in thirteen-week periods. He achieved this revolution by scheduling a variety of so-called television spectaculars, running one, two, and even three hours. Some of these spectaculars appeared only once. Others appeared at irregular intervals. Some of them found sponsors. Others did not. All cost NBC prodigious sums of money. In any event, Weaver and NBC parted company after six years—not long enough for Weaver to remold CBS nearer to his heart's desire but long enough to leave a lasting mark on the industry. The news analyst, in particular, has felt the consequences of the Weaver touch. On the one hand, Weaver's innovations promised to liberate some news analysts from the necessity of having to fill the same time period at the same hour of every day, no matter how much or little there might be to talk about at that moment. On the other hand, these same innovations threatened to liberate other news analysts from their jobs by opening the door to assorted experts to cover special situations as they arose. But Weaver's innovations also liberated from NBC before any news analyst found himself at liberty. WHILE Weaver had been shaking up NBC's competitors as well as NBC, a former newspaperman was reorganizing the American Broadcasting Company. When Robert E. Kintner came to ABC as its president in 1948, its financial stringencies forced him to make bricks without straw. (When he left, in 1956, Paramount Theatres had purchased control and proceeded to make bricks without Kintner, who had performed miracles of economy and ingenuity, especially in the news field.) Instead of seeking and claiming an ideal of objectivity of which human nature is incapable, ABC is the one network that maintains a staff of commentators of widely varying political views and gives each member of this staff his head. The weakness of this policy is that ABC has had to gather in most of its commentators from other networks or from the newspaper and magazine field, since it gives such freedom only to newsmen with established reputations. Most of the CBS commentators, on the other hand, notably its younger correspondents in Washington and various foreign capitals, have worked their way up through the CBS organization. And though CBS has several times taken strong public stands against editorialized news commentary and in favor of objective news interpretation, the public record tells a different story. Murrow, Sevareid, and Howard K. Smith owe their high reputations to the frankly opinionated views they have repeatedly expressed over the CBS network. But the candor compels this further admission. While no two CBS news analysts agree on every subject, the CBS news staff includes only those commentators whose views follow liberal patterns in domestic affairs and internationalist views in foreign affairs. Not since H. V. Kaltenborn moved to NBC in 1940 has the CBS network featured a news analyst with a frankly conservative outlook, and it has never given regular time to such nationalistic views as Paul Harvey expressed regularly over ABC or to such reactionary views as Fulton Lewis expresses regularly over Mutual. For this record, CBS deserves nothing but praise. It merits criticism only for the occasional statements some of its executives issue on the subject of objective news analysis. Nor does CBS performance violate the rulings of the Federal Communications Commission which declared ten years ago in its famous Mayflower decision that the networks have a right to editorialize—provided they present both sides. Only CBS has ever taken this ruling at its word—and only on exceptional occasions at that. Its great merit, as compared with any other network, is the consistent effort its management has made over the years to spend time, money, and talent on news coverage and news interpretation. ABC, on the other hand, merits special commendation for having given the American listening public a wide spectrum of political opinion expressed freely, fully, and regularly by men of such differing views as George E. Sokolsky, Paul Harvey, Erwin N. Canham, Edward P. Morgan, John W. Vandercook, and Cecil Brown. Now that Kintner has moved to NBC and Paramount Theatres has taken active control of ABC's operations, what may happen next at those two networks will depend on the actions, reactions, and interactions of so many personalities as to rule out prediction. CONCERNING the present status and immediate future of the news analyst, in radio or television, this much can be said: The wonder is not that he plays a diminishing role on radio and barely exists on TV. The wonder is that he survives and exists at all, anywhere. This is due more to the durability than to the adaptability of the analyst and more to the inflexibility than to the enterprise of the industry for which he works. In some capitals, especially Washington, the new radio or television news analyst now plays the same role as newspaper and magazine correspondents and bureau chiefs in those same cities. Sometimes he must function only as a stringer, finding his main source of income elsewhere. Sometimes he functions on a part-time basis and has time for other work on the side. But he tends to become a specialist in his own neck of the woods; not the all-purpose expert who analyzed the wartime news. Only local and regional stations and networks, whose audiences have a high common denominator of interest, still hold out opportunities to the traditional commentator. In this connection a personal word may be in order. Of the four news-commentator jobs I have held during the past nineteen years none brought me so wide and warm an audience response as the one I received from the comparatively highbrow listeners to New York's Station WQXR. As a news analyst for CBS, during and after the war, I received more helpful editorial guidance than anywhere else. It is this kind of guidance that all working journalists require; as a former book and magazine editor myself I know whereof I speak. In my four years as news analyst for Station WILL, operated as an outlet for educational radio by the University of Illinois, my freedom of expression was far more narrowly circumscribed than it ever has been on any commercial station or network. Which—I hasten to add— is only right and proper. A tax-supported state university, supervised by an elected board of trustees, dare not offend any substantial group of its constituents. In my present capacity as news analyst for the American Broadcasting Network, I have never felt so free to speak my mind or had so much time in which to speak it. But the breed to which I belong is vanishing. The generation to which I belong has passed its prime. We have seen William Jennings Bryan, Theodore Roosevelt, and Woodrow Wilson as plain as the young people of today have seen Harry Truman, Dwight Eisenhower, and John Foster Dulles. Franklin Roosevelt and Joseph Stalin still seem as real and alive as Sir Winston Churchill. We cannot forget the marks they left upon our lives. We think and read about them more than we do about the present leaders of the world—and we talk about them almost as much. These thoughts and words mean more to our contemporaries—than to our juniors. But how large a place have these juniors yet earned in interpreting today's events—and tomorrow's? And when all of those who have come to the top of any field belong to the middle or elder generation, it means that something has happened at the roots. Whether that something is good or bad depends upon your point of view. The younger generation either cannot see or cannot find opportunities in a type of journalism that now seems to have gone into a decline. To the extent that the popularizer, in any medium, has abused his privilege or worn out his welcome, this is all the good. It is also a healthy sign when, in a more specialized field, a George Gallup challenged the election forecasts of the Literary Digest just as Samuel Lubell now challenges Dr. Gallup's. And just as televisions "Meet the Press" has suspended radio's "Town Meeting of the Air" so the televised interviews conducted by Martin Agronsky and Mike Wallace break new, rich ground. But these innovations supplement, they do not replace the commentator with a wider view. The root of the matter may well be that only under exceptional pressures will a mass medium carry and a mass audience respond to such wide and searching interpretations of world affairs as a few dozen radio commentators brought to a vast public during World War II. WHY has not the challenge of the postwar crisis brought forth a similar response? The blame cannot be laid at any single door—if, indeed, it is even a question of blame in the first place. As one laborer in the vineyard sees it, there has never been so great a demand as now exists for an integrated interpretation of the day's news and its wider meaning. If the public now turns more and more to experts and specialists, it is because they seem to speak some part of the truth with some authority. But a different and greater opportunity beckons. No single individual can hope to meet it. One industry—which need not necessarily be the radio or television industry—can. But perhaps some new and greater crisis must break upon us first. The history of the radio industry and the Second World War cannot repeat itself. Such histories never do. But tomorrow's history goes on from where yesterday's left off, and some patterns of the recent past may repeat themselves in the near future. Events have speeded up so rapidly in recent years that some of the same men who played outstanding parts in the First World War lived to apply the lessons they had learned twenty years on. The same thing could happen again. QUINCY HOWE'S flat, Yankee tones constitute one of the most familiar voices in America. In part of this article, which is the elaboration of remarks he recently delivered in Boston to the Association for Education in Journalism, he gives us his own commentator-biography. At present he has a daily (and Sunday) broadcast on ABC and is serving as president of the Association of Radio-Television News Analysts. He also is a prolific author; his latest work is the monumental "A World History of Our Times." The colonial fuse in Asia, lit by war, has now exploded a bomb. At least one great colonial territory, Indo-China, is in a state of actual revolt against return to rule from overseas—in this case, France. Java, in the Netherlands East Indies, appears to be in a state of latent rebellion against a return to Dutch rule, judging by fragmentary dispatches from every viewpoint. To repress what CBS correspondent Bill Downs, on the spot, calls an Annamese "war of independence," the British commander at Saigon is using 5000 armed Japanese troops, as well as his 2500 British Indian troops and about 2000 French soldiers released from prison camps. James McGlincy of United Press reports from Saigon that "throughout southern Indo-China the Japanese seem to be enjoying the same prestige and authority they had before the war ended." The excuse given by Maj. Gen. D. D. Gracey, British commander at Saigon, for using the Japanese troops against the Annamese is that there aren't enough Allied troops in Indo-China to "maintain order." Eyewitness reports from Saigon say the Japanese are cruising the streets in heavily armed trucks and guarding public buildings. Bill Downs says "they are fighting side by side with the British and the French." The revolutionary crisis, which has been building up with Annamese-French clashes throughout Indo-China for the past two weeks, was precipitated by French troops. 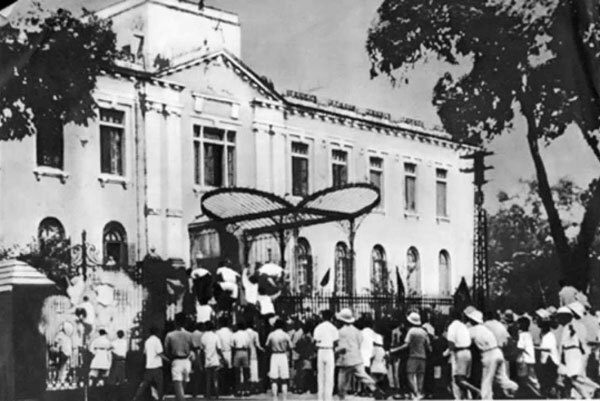 On Sunday, about 300 French soldiers released from Japanese prison camps surrounded the Saigon town hall and demanded the surrender of the Government set up by the Vietminh, the Annamese nationalist party. When the Annamese officials rejected the ultimatum, the French stormed the building, then chased the Annamese through the streets. About 300 Annamese were arrested. The French then took over other public buildings, including the police station. But their forces were not large enough. Vietminh irregulars attacked, and barricades went up in the streets. Finally, the British decided to intervene. Fighting has been going on since Sunday. Downs says about 100 persons have been killed and wounded on both sides. French officials in Saigon have been blaming the Japanese for the Annamese revolt. In one sense, that may be true. Last March, the Japanese shrewdly gave the Annamese their "independence" and allowed them to set up their own government. When the British arrived, it became clear that they were committed to restoration of French colonial rule, which meant the end of any Annamese hope for real independence. The surrender gave the Annamese a chance to demonstrate their dislike for the French, and there were sporadic attacks on French residents in Saigon and other parts of the country. The British intervened to stop the riots, but left the Annamese government in office, if not in power. The French attack on the Town Hall, and the arrest of the Annamese officials, touched off the real revolt. UP says British military strength is expected to keep order in Saigon until the main French occupation forces arrive, but Downs says armed bands of thousands of Annamese irregulars are moving toward Saigon. "Some," Downs reports, "are armed with Japanese rifles and revolvers, but most have only sticks and clubs and bamboo poles tipped with knife blades. Some of the raiding parties are infiltrating toward the center of Saigon. Reports from Java say that disorders inspired by Indonesian nationalists have broken out in various parts of the island. A UP dispatch from Batavia says that 10 "extremists" were arrested at Soerabaja after street demonstrations and a Dutch Government Representative, C. H. O. Vander Plas, was stoned while driving a car through Batavia. One Dutchman was killed at Soerabaja when a native mob of some 2000 attacked a group of Europeans, the dispatch said. Order was restored by Japanese troops. An article in the Southeast Asia Command Newspaper, Senc, said that British "reinforcements were being sent to Java to deal with "what Japanese secret police called possible disorders by Indonesian nationalists." At Bangkok, Thailand, a battle has been going on for four days between Thai (Siamese) troops and police and armed Chinese civilians in the Chinatown area. Seven persons have been reported killed. This fight apparently is the outgrowth of bad feeling between the Thais and the Chinese minority in Bangkok, which reached a head when the Thais refused to let the Chinese hoist Chungking flags to celebrate the Allied victory.